Character backstory: How much is enough? Following on from my last post on character development, I thought it might actually be good to discuss how much effort to put into creating characters within a game. Yes, as per usual, I'm going to focus specifically on the RPG genre, but only because it typically has more characters and relies more on characterisation than other gaming genres. You might have to adapt the (RPG) specific roles to different roles within other genres, but some of these basic principles will remain the same, because in truth they are simply adapted from basic elements of characterisation that exist across narrative forms like poetry, prose, plays and cinema. Taking a step up from extras, we have minor characters. These ultimately play very little role in the story, but in an RPG, this character may provide a brief introduction to a situation or offer the player a small sidequest. From this level of character upward, my basic litmus test for a character is fairly simple, and involves looking at the character's desires or primary goal. Ask yourself two questions: What does this character want? Why do they want it? If you can't answer those two questions, then your character is probably in need of more design. Now, obviously for more complex or prominent characters, you're going to need more details, like behaviour, upbringing, personal morals, and much more. But for a basic character to act coherently within a game, you need to know the answer those two questions. If you can't then they probably can't interact with the character in any meaningful way. If you can, then that's potentially all you need for a simple quest-giver NPC. Do you really need a full backstory for the mother who wants you to look for their child? Or for the bartender who wants you to get rid of the thugs from his bar? These characters have simple desires and simple goals, and there's really no need to develop them further than their role in the game requires. Please kill the monster, I'm too scared to do it. On the other hand, we have major NPCs. Characters crucial to the plot, antagonists and party members. These characters should have some really solid development behind them, including history/backstory, personality traits, speech patterns, like and dislikes... basically a full biography and profile. If these characters are meant to grow, develop and shine as three dimensional characters, they have to have conflicting elements to their personality, individual components that come together to form a cohesive individual who has the potential to mature throughout the game's narrative. Now, this isn't to say that characters have to change their personality during a game, even though I love that as a concept. But a character should grow and develop into a fully formed creation as the adventure progresses. The player should gradually learn more about important characters as the game progresses, as new information and experiences present their character in a new light or expose different facets of their personality or background. This applies equally to all major characters, be they allies, companions or adversaries. Companions don't immediately divulge all their secrets to you upon meeting them, and there is no mystery in the enemy whom you fully understand from a single encounter. Where's the fun in Sten telling you everything at once? Of course, there will be plenty of characters that fall in-between the extreme of "major character" and "side quest NPC". At what point do we cross the line and require more details for those characters? How far do you go developing a backstory for someone who is a catalyst for some events but will ultimately fall by the wayside? This is when I go back to my litmus test. For each significant action that a character is taking, you need to know why they are making that action. The small time villain serving the player's ultimate enemy needs to have a reason to support his master, but they may also need their own motivation to want to kill the player character. Now, this could be as simple as wanting to please their master and assume a higher rank in the Nebulous Evil Organisation, or it could be something a lot more complex. Deciding what makes characters the way they are is part of the fun of writing. For the player, finding out about those characters helps to make the journey fun. It can be a lot more fun to defeat a game's villain if you're doing it with people who feel like they are your friends. If players have insight into the personality of the characters they are dealing with (whether on friendly or unfriendly terms), it makes for a much more enjoyable narrative, which consequently should deliver a better game. A post by TimelordDC on his development blog got me thinking (again) about the amount of detail required to be put in a game in terms of the small details and backstory. As for small details, that's relevant to what I was trying to do for over an hour today, which was to get guards to stand at attention or salute as you walked past. I thought this would be a relatively simple process of overriding ambient behaviour (and a scripting command exists for this), but as I posted in this thread, I couldn't get it to work. Hopefully someone will be able to figure out what I'm doing wrong - I've already spent a significant amount of time on something that in all honesty won't add a lot to the experience of most players. Yet it's those small details I love seeing in games. When it comes to backstory, I find myself putting in a lot of effort for characters, particularly major characters within a story. There is a lot of work that is going into creating the backstories for the party members and the major NPCs within The Shattered War, and I can almost guarantee that not all that information will make it into the final set of dialogue. Additionally, just like in the main campaign, there are likely to be some bits of information that you find out in mutually exclusive choices. 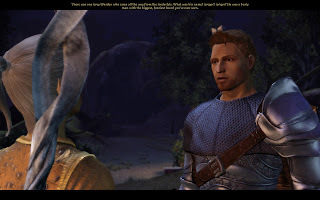 As an example, a point in the main campaign of Dragon Age where you question Alistair about the Grey Wardens comes to mind - you can potentially ask him if there were any elves or women with the Grey Wardens. You can only ask one of these questions before he'll start relating a story about another character, making a small and subtle difference possible in your interaction. Now, the funny thing is that this doesn't really add much in terms of the character's development, but merely provides a more natural flow of conversation and a small variance in your experience. But having a large number of these throughout a game make for a more organic interactions and individualise the experience for players. I know I've discussed this before, but what if designers divulge different aspects of a character's past or experiences based on the choices a player makes? It's not a matter of withholding information, but merely making a more "realistic" representation of the interactions between two people. Let's take a hypothetical real-world situation as an analogy. Say you have a group of three friends. It is unlikely that two of the friends will know exactly the same information about the third, though there will be some key information to which both will be privy to. However, the might be some secrets that one will know and the other will not, and vice versa. Who is to say that NPCs in a game should not react in the same way? Perhaps based on a player's choices, they will see different facets of a character than if they had chosen differently, offering an individualised experience for each player. Moreover, it could offer significantly different experiences on repeat playthroughs. This isn't about changing a character's persona, merely exposing the player to different facets of it based on their choices. Three... let's go with "acquaintances"
However, what if we did take this a step further and allowed the player to influence a character's personality? I'm not simply talking about the ability to make someone a jedi like in Knights of the Old Republic 2. 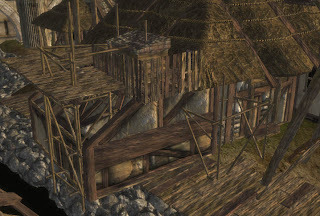 Or going a little bigger, something like David Gaider's Ascension modification for Baldur's Gate 2: Throne of Bhaal. This allowed you to get the monk Balthazar to support you in the climactic battle against the final boss(es) provided certain criteria were met. 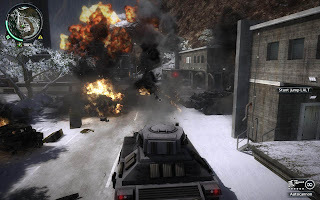 Actually, Alpha Protocol is probably one of the best examples of this idea, as you can have some greatly different experiences based on many decisions, and can potentially end the game with a great number of allies, or simply a massive body count. There are also several boss fights which can pit you against different opponents (or change their abilities) based on your choices. The idea that through your actions you can turn an adversary into an ally (or vice versa), is something that definitely appeals to me. Imagine a short game that is a murder mystery that plays out different based on your actions throughout the game. Everyone has a motive for murder, but through your actions and prodding, one of the characters finally decides to take that plunge into the darker side of nature. I'm reminded of a quest in Oblivion which was a "reverse murder mystery" where you could prod the entire house into murdering one another through your actions. But imagine if instead of being a sidequest, that level of control was woven through the major plot of the game. Maybe I like to meddle too much in the affairs on NPCs in a game, but I'd love to be able to affect the development of major NPCs in a game. Today will be another short post, as I've been spending quite a bit of time doing some polish on previous quests and content. It's the small things like making sure that a shot looks exactly how you want it, that all the quest entries are laid out nicely and clearly explain the plot and so on that make a big difference in my book. That attention to detail is something that I really feel makes a difference between an engrossing adventure and one that has you cringing at its technical or artistic aspects. This is a fairly narrow area we're looking at here, so it would potentially be feasible to not pay any attention to it. 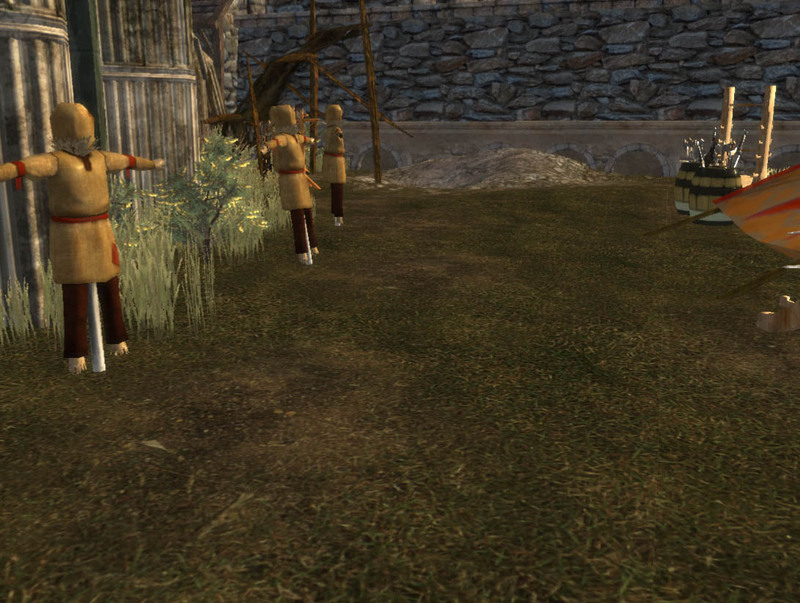 There are small patches of dirt in front of the training dummies, which are there because people practicing on the dummy would likely wear away the grass in front of it with constant steps. However, I still wasn't happy with it. Now I've added some height variance into the ground, with divots in front of the dummies and small mounds between them. This wouldn't typically be because of the training dummies, but such small bumps would have helped dictate the initial placement of them. The main thing to take away from this is to avoid having sections of uniform terrain. Flat terrain is unnatural and looks out of place, especially if you're dealing with a natural surface like grass or dirt. 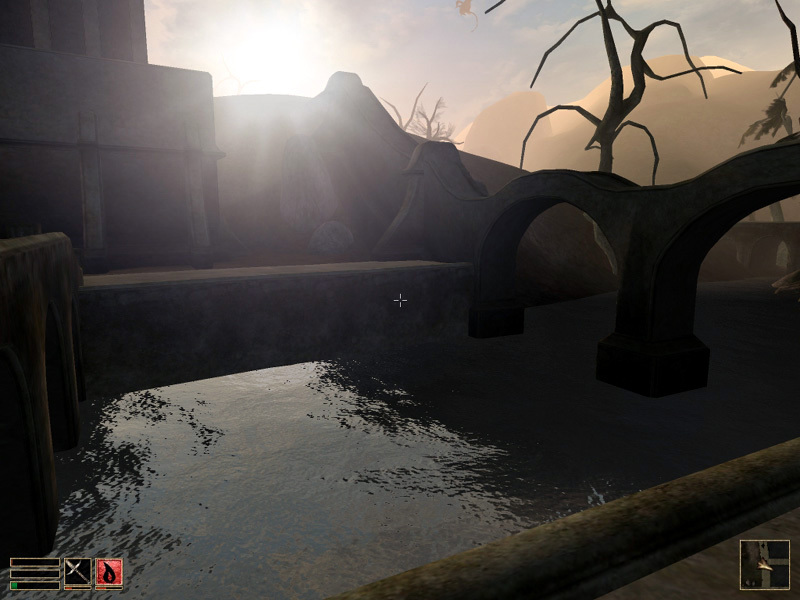 Large sections of stone might be flat, but they quickly become monotonous and boring for the player to look out. The same applies to texturing, in that having large swathes of ground covered in exactly the same texture with no interruption looks boring, and usually exposes the tiling of the texture quite clearly. Now, you might be thinking that the difference between the two shots doesn't look that big, and I agree that it's not, but it will be noticeable. As the player walks along, they'll note their hero going over the small bumps. It will also be more visible because when you're viewing it in game, you'll have proper lighting rather than having everything full lit like you do when you're working in the toolset. (Or at least as I am here) This means that you'll have shadows to further accentuate the height differences. This might seem like a picky and trivial thing, but trust me, even a small amount of height variation can make all the difference in making a level feel more interesting and more organic. It's a principle applicable to any terrain editing you might do. Tonight will be a short update because of a bug I found in the Dragon Age toolset that has caused numerous problems that I couldn't track down. This one is for modders. If you duplicate a plot, the toolset does not create a new GUID for the duplicated plot. For those who aren't tech savvy, this means that setting plot flags is not reliable. You might end up setting a plot flag on a different plot to the one you thought you had selected. It also causes havoc for any codex plots you might have created. This issue has caused me several headaches... I had a quest that was miraculously being finished for no apparent reason even though the requirements had not been met, I had the codex entry appear for a character the player had not met, and was missing codex entries as well. I've still got a bit of repairing to do in order to rectify this problem. Something that should have saved me a significant amount of time has actually cost me many hours of productive modding. So after a lot of work over the past couple of weeks, I've got something to share with you all... No, The Shattered War isn't finished. But I do have a shiny new video to show! This is a video walkthrough of one of the major areas within the module: Fort Velen. In addition, I've also added three new hi-res screenshots to my slideshow that's on the left of this blog. The source images are 1680 by 1050 - I don't have a 24" monitor so I can't go up to 1920 by 1200. (If you want them that big, then you'll have to donate to the "buy AmstradHero a new monitor" fund) To give you a closer look, I've posted one of them below, and as per usual, click for a larger image. You can also access the Picasa album these images are in by following this link. Happy viewing! Recently I've wasted too much time on the BioWare Social Network, typically getting drawn into discussions that initially appear interesting but quickly devolve into... well, something that isn't. However, I don't get out early enough and on several occasions have fallen prey to the madness that is arguing on the Internet. I could highlight some of the less sensible posts I encountered, but I'd rather not spark an argument here. I'm interested in discussing game design, but unfortunately many threads tend to quickly turn to mudslinging matches with terms like "console kiddie", "PC elitist", "dumbing down", "selling out" and other terms that equally add nothing meaningful to debates. That's not to say that the debates are entirely like this, and there are some really good points (including ones that I disagree with) raised by some people. Unfortunately, they tend to get lost amongst the noise. Did somebody turn out the lights? When you're making a level in Dragon Age, before you render your lightmaps, always put in an Ambient baked light to avoid pitch black shadows. You don't want to know how long it took for the lighting calculation. Or rather, I don't want to think about it. It's been a while since I posted an update on the Shattered War, so I thought I should relate what I've been working on for the past while. Yes, I actually do get some modding done in between these frequent posts! Now, given I've made a few recent posts about level design, you might have guessed that I've been working on making a level. Well, you'd be right! As such, I have a screenshot for you, but I'll have to get the following disclaimers out of the way first. The level isn't finished yet (though I've taken the shot so those parts are in the distance). The shot is taken from the toolset (hence the gridlines). I photoshopped the brightness/colours of the screenshot because of points 3 and 4. So keeping that in mind, don't judge the image too harshly. Also, you can click on it for a larger image (~750kb). That's all I've got for today, folks. "Our super-wheat can even grow through fences!" Yes, the wheat is going through those wooden beams in the fence. 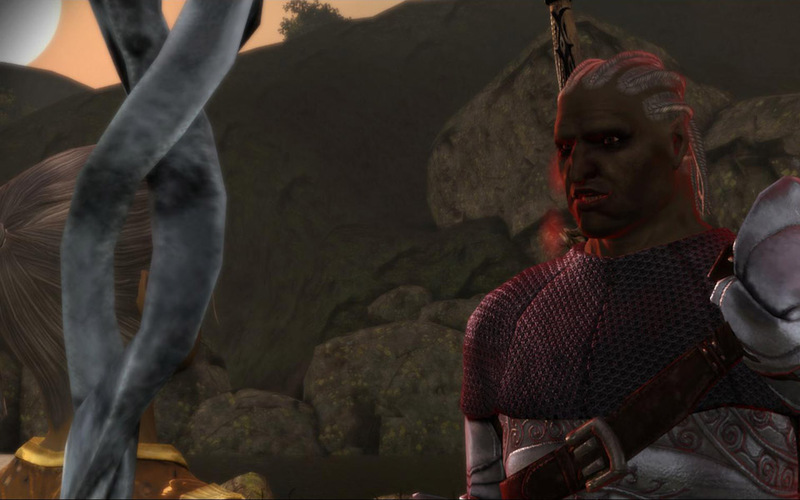 I'm going to Dragon Age for screenshots, mainly because it's an easy source for me. (As per usual, click for a larger image) While I work in the toolset, I look at existing levels for structure and quality in terms of overall design and artistry, meaning that I spot these "errors". However it's important to note that you could find equivalent errors or issues in games in pretty much any game you care to name. What kind of architecture is this? We've got bits of wood randomly protruding from the walls or the tiles of a section of a small coop (the tiled bit) on the roof. That same coop is dug into the thatched roof, and surrounded by a partially levitating fence. 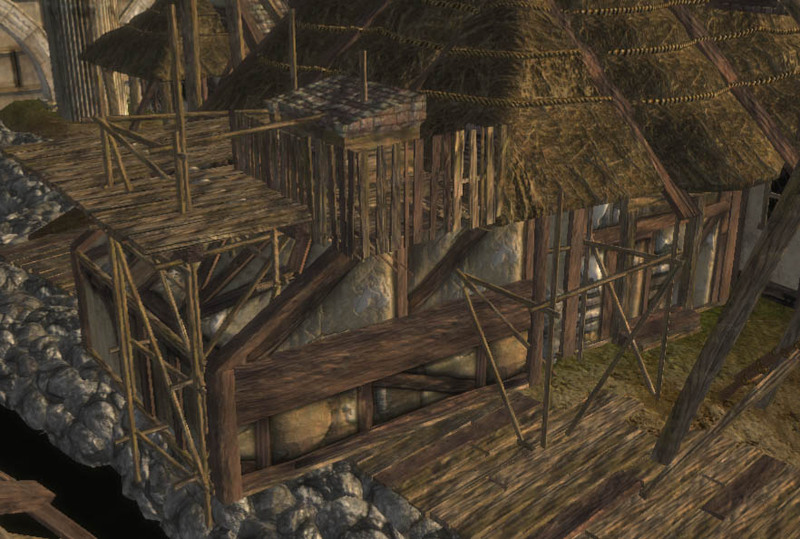 However, despite all the strange construction of this house, I'd say it probably doesn't actually matter all that much in the game. In the toolset, I'm looking at a fully lit model in clear view from any angle that I choose. As soon as we get into the game, the player's view is a lot more constrained. It's limited by the objects in the environment that affect the camera's allowable position, by either being a high-up tactical view or a close in view centred on the character. We don't get free reign to examine our landscape in full when we're in the game. 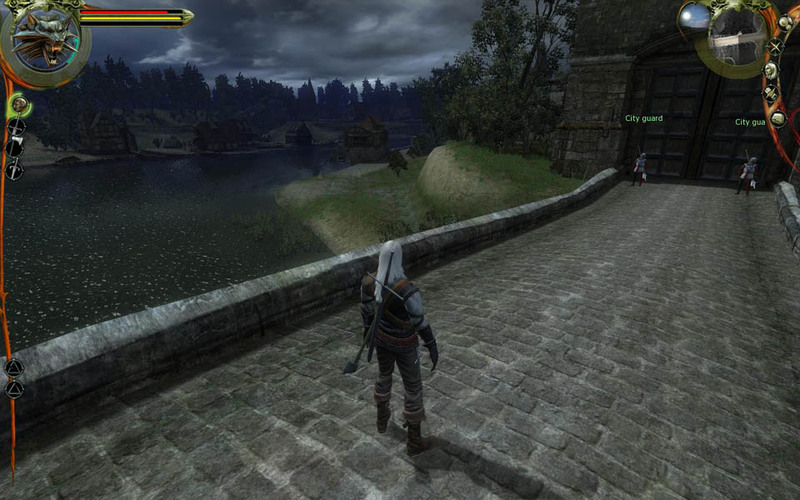 Game and level designers recognise this, and use tricks to make the landscape look more real than it is. Fire up any level editor and look at the extremeties of a level and you'll see that the edges of levels tend to be artificial creations - the painted background of the cinematic set, as it were. When we actually go into the game, those limited camera angles, combined with the fact that we're now dealing with a properly lit model with shadows, mean that it doesn't actually look bad. Sure, upon close examination it looks a little strange at points, but it doesn't look terrible by any standard. (Unless you're even more finicky than I am... but in that case, lighten up!) Moreover, this particular house isn't really "of interest". It's next to the river and there is nothing of interest in the area, meaning most players are just going to walk past and barely give the house a second glance. Most probably won't even walk their character down this way! 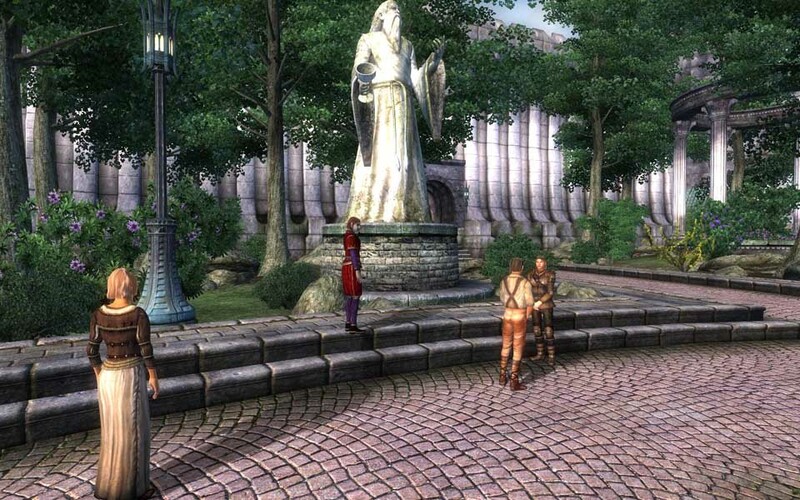 If it were right in the centre of the town surrounded by quest givers and major NPCs, then it would probably be a different matter. As it is, these small errors are likely to be missed even if a player does like to explore every nook and cranny of a level. Again, players might miss this, but a simple backwards glance near the exit of Lothering and you receive the view above. Not to mention that the plains surrounding the trees are... uninspired at best. However, if you remove the floating trees, would this area be an issue? Would people care that the distance is fairly flat and uninteresting? Well, based on the amount of effort that goes into creating beautiful looking backdrops that are outside of the "playable" area of a level, the answer is a resounding "yes". So at what point do level designers decide "enough is enough" both in terms of the playable and non-playable areas? Areas that will undergo a lot of scrutiny and repeated viewing obviously require the most attention. Central locations that will be revisited multiple times will have a lot of effort dedicated towards them. Compare the outskirts of Lothering with that of the party camp. A significant amount of effort was invested to make the rocky hills around the campsite look good. A number of the "random encounter" areas actually all belong to one giant level and that is used to export the different walkable aras. As such, there has obviously been time dedicated to its beautification. But what about those small details? Can we ignore the floating trees in the distance of Lothering? Can we ignore the floating grass in the Korcari Wilds? As a modder, I tend not to be happy when I notice things like that. I'll manually move and rotate shrubs, grass and flowers so they aren't growing into a building or other solid object. But if the professionals are happy to have these errors in, shouldn't modders get away with them too? I'm curious to know other people's opinion on this matter. Where do you draw the line? What do you notice? Are there some types of "errors" that you find more obvious than others? Even the comments on the second point out the obvious similarities. Klaus Badelt: He's a Pirate vs Two Steps From Hell: Racketeers. Mhenlo's Theme: Guild Wars from 1:00 vs Forest Day 1: Neverwinter Nights from 0:50. I would also swear that Gwen's Theme sounds extremely similar to music from Oblivion. In particular from around 0:28-0:55, but I can't quite seem to find the equivalent passage from the latter's soundtrack. 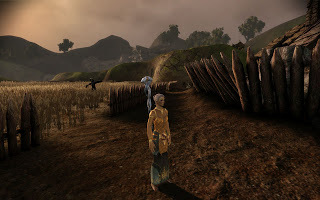 Morrowind is a curious game for me. It took me half a dozen goes before I actually enjoyed it enough to play more than a couple of hours, but once I got over that hump, I played it with a moderate amount of dedication. Now, while it's an open world game and so the focus isn't necessarily on the main plot, there was actually a fair amount involved in the main quest line. Thus with the requisite spoiler warning, let's dive into the (lengthy) plot summary. You are shipped to the island of Vvardenfell (in the province of Morrowind, hence the game's title) at the Emperor's command. You were a criminal but released upon his command. You are told to assist one Caius Cosades, a member of the Blades who are effectively the Emperor's "secret police" to protect the Empire. You are tasked to investigate the cults of the Nerevarine and the "Sixth House". Through a series of quests you discover that the Nerevarine is a prophecy that will see the rebirth of Nerevar, a former hero of the island. His rebirth will mark the end of the "blight storms", storms of red dust that causes disease and are slowly destroying the entire island. The "Sixth House" is trying to bring about the rebirth of a "great house" (akin to a major political faction) which was destroyed centuries ago. 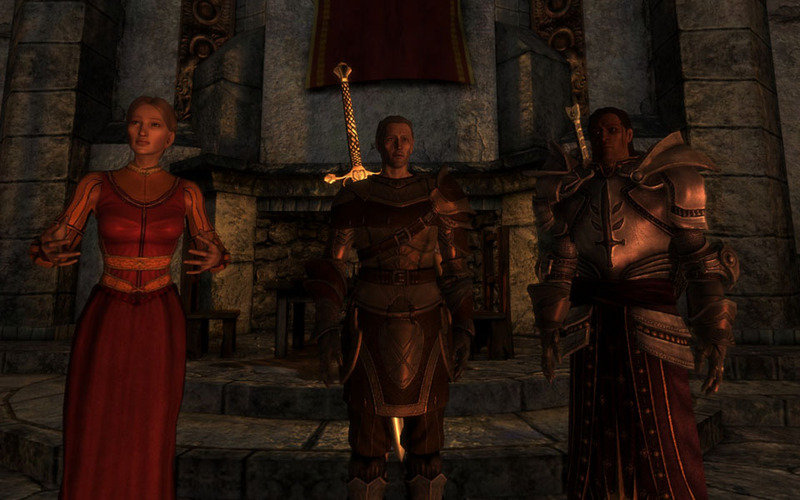 After some more machinations, Caius Cosades reveals that the Emperor intends to use you to fulfill the Nerevarine prophecies. You are the means by which he ensure that the stability of the Empire is not threatened. You are sent to one of the Ashlander tribes (specifically belonging to a Nerevarine cult) to find out more about the Nerevarine and to attempt to convince them that you can fulfil the prophecy. After some convincing, their "Wise Woman" agrees that you may be able to. 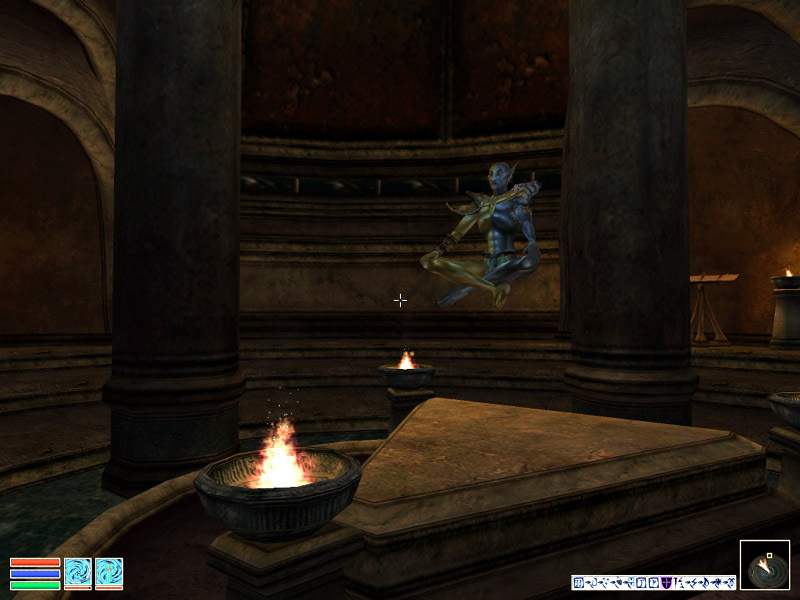 As such, she asks for your help in finding a set of documents: the lost prophecies on the Nerevarine. Are the walls keeping the monsters inside... or us outside? By this time, you have learned a little more about the troubles of the island, and most likely its history. This is actually crucial to the plot, as the whole reason for the blight storms is due to the actions of several mortals who became Gods through their actions. The cause of the island's troubles is Dagoth Ur, who is hiding deep within Red Mountain. The blight storms seem to emanate from this volcano, allegedly due to Dagoth's influence. 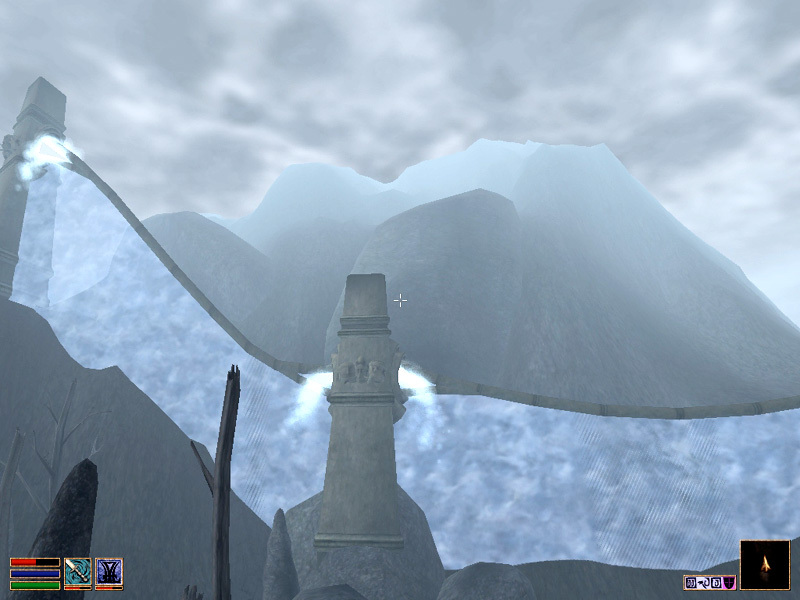 Even worse, the magical barriers protecting the island are weakening, and the Sixth House is attempting to regain power on the island for Dagoth Ur. As a result, Caius Cosades sends you off to destroy a newly discovered Sixth House cult base. You do so, killing its leader, Dagoth Gares, but at a terrible price - you contract the deadly Corprus disease, a fatal wasting disease that can come from the blight. 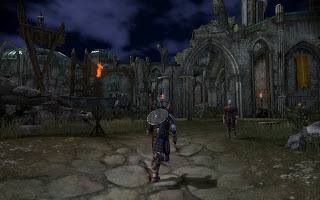 However, recovering from Corprus is one of the prophecies regarding the Nerevarine, and with some assistance, you are able to do just that, becoming immune to the disease's ill effects in the process. 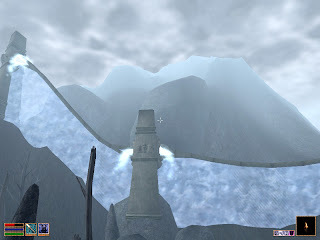 You then must break an associate out of a prison that is a giant floating rock who has the lost prophecies regarding the Nerevarine, because the temple which rules the island believes them to be heresy. 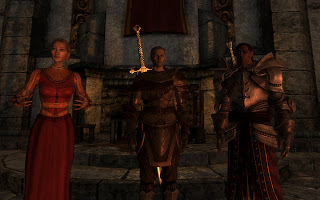 Because of your actions, you gain the respect of the Nerevarine cult, who task you with fulfilling the next parts of the prophecy: gaining the respect of the three major Ashlander tribes and the Three Great Houses by having them declare you the Nerevarine and Hortator (war leader) respectively. After a long and involved process, you do so. At this point, your status makes you a criminal in the eyes of the temple ruling the island in the name of the god Vivec (another former-mortal-turned-deity like Dagoth Ur). But, in a strange turn of events, you meet with Vivec himself, who co-opts you into performing a series of tasks to retrieve the necessary tools to defeat and kill Dagoth Ur. These are legendary items by which their rise to immortality was performed, and you must undo their actions of so many years ago. However, through your actions that allow you to kill Dagoth Ur, you destroy the very thing making Vivec immortal. But due to your success, the blight storms end and the future of Vvardenfell seems assured. Now the curious thing is that Dagoth Ur is never really presented to you directly as your antagonist. You're basically given the role of Nerevarine (whether you like it or not), effectively forcing your hand to deal with Dagoth Ur at the Emperor's command. He does take a personal interest in you, and you get Corprus disease from Dagoth Gares more or less at his behest. However, the plot does not directly revolve around him as a personal antagonist to you. That said, Dagoth Ur still makes a fairly convincing villain, in that his presence and actions will see the blight storms spread over the entire island and ultimately everything and everyone being destroyed. You didn't necessarily have a personal vendetta against him, but the pure fact that his continued existence would result in your death (along with everyone else's) was sufficient motivation. I'll confess that it actually made me develop a strong desire to dispatch him. I think perhaps the major weakness was that I didn't feel like I got enough of a sense as to what Dagoth Ur's plan was through his actions. His entire character as an antagonist seemed to be that he was entitled to the godhood that he had "earned" through his actions with the magical artifacts you collect and use against him. Levitation. A cool trick of an immortal. Perhaps more interesting is that a significant amount of the back story behind his rise to god status is not given to you explicitly by the characters. If you're not making an effort to get involved in the plot, much of it can be left out and you can be wondering exactly what is going on. 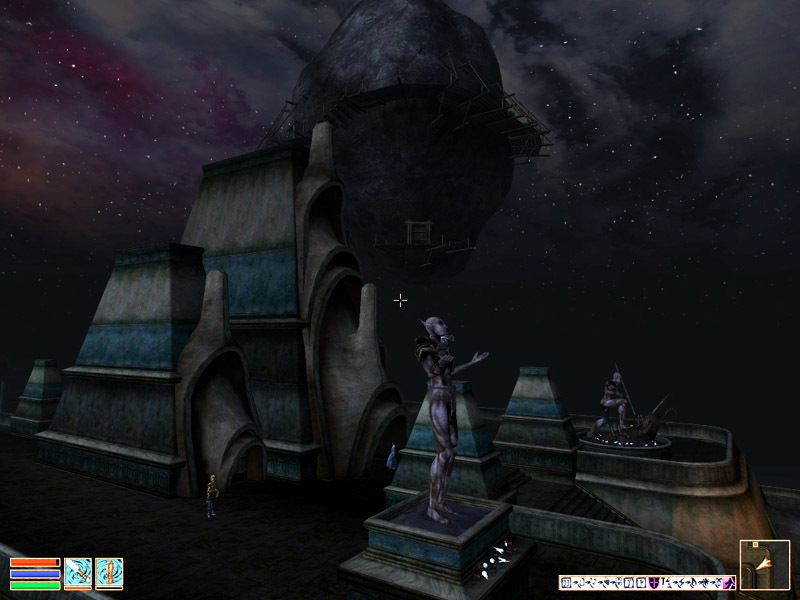 I greatly appreciated the effort that had been put into creating the story behind the individuals involved in the machinations that saw the creation of the Tribunal (the three "gods": Dagoth Ur, Vivec and Almalexia). Their actions, rise to power and the subsequent effect that they had on the island are documented in many books through the game, and effectively permeate the entire societal structure and religious beliefs on the island. 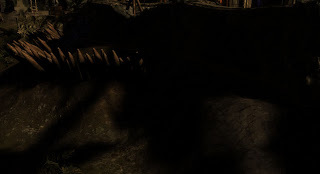 Dagoth Ur is so much of a legend in their history that he is the bogeyman used to scare children into their beds at night. Except he's real. For me, the main problem with the game was the lack of a hook. After meeting with Caius Cosades the first time, the player could literally be tossed out with a "come back when you've levelled up" message. For me, even though I wanted to play it, the game proven impenetrable (and got me utterly destroyed in early fights) the first few times I tried to play it. I got progressively further each time I returned, but it was months after I'd first bought it before I finally was able to actually get past the initial hurdle. I was extremely happy when I did get over it, because I really enjoyed the game once I started to make some progress. 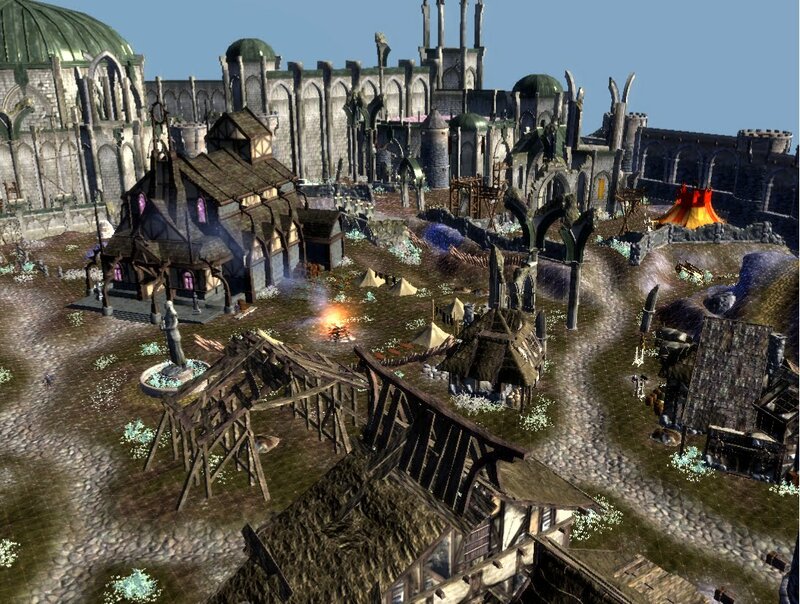 I was a contented gamer upon dispatching Dagoth Ur and freeing Vvardenfell from the blight storms. The thing is that hook did not need to be, nor should it have been, the antagonist. The power of Dagoth Ur's character comes from being so entrenched in the history of the island on which the game is set. In that sense, I'm actually reminded of Arcanum, which developed its antagonist in a similar fashion. This very different narration style of developing the overall picture of the ultimate antagonist through the lore of the game's setting is a really interesting design approach. This style rewards the player who gets into the setting, and by its nature practically encourages them to accept the reality of the game. This is a very powerful technique to draw the player in, but may demand an inquisitive mindset and a player willing to invest themselves in the setting. I wonder if the number of players that are willing to do so is sufficient to justify the expense of a modern AAA game title? If it means that we will see more titles like Morrowind, where the world created by the game's writers is so closely tied to the narrative of the game itself, then I surely hope so. So I've had a few comments of people disagreeing with my assessment of The Witcher. However, after playing some more, I'm afraid I can't relent on my previous assessment at all. I'd like to point out a couple more issues I have with the game. For those curious, yes, I am playing the Enhanced Edition. I've recently finished off the outskirts of Vizima and have been imprisoned in a dungeon beneath the city. I'm trying to continue, but I'm rapidly losing faith in the game. Why? Well, strap yourself in and I'll explain... this is a long post. To set the scene, I'm shut out of a major city, and completing quests in order to gain the trust of locals so that they will give me the means to enter the city. As part of one of these quests, I had a fight with some members of the group that attacked the fortress at the start of the game. Interestingly enough, this seemed to be the first point at which one of the choices I'd made had an effect. Choice and consequence are some of the best aspects of RPGs, so this should be right up my alley. In the aforementioned castle, I chose to try to protect the secrets of the Witchers rather than fight a dangerous beast. Apparently this made a fight turn out differently. How do I know, you ask? Because the game explicitly told me so. Some might argue this is a good thing, so that you get a clear indication of the effects of your choices, but the means in which that information was delivered was terrible. 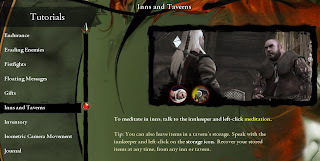 A slideshow of black and white images was presented, with Geralt giving a narration about how his choice could have "resulted in a different fight here today". The game effectively speaks to you directly as a player telling you "a past choice just mattered here by making this fight different." For starters, having a slightly different nameless enemy in a fight is not something I consider providing a meaningful consequence. Secondly, telling the player in such a blatant manner is such a crass way of telling them their choice is meaningful. To be perfectly honest, I'd be happier if the results of choices were integrated seamlessly into the campaign and the story-telling - maybe by having people reference a decision that you've made previously. Meaningful and realistic consequences within games aren't created by drawing attention to the fact that something could have occurred differently, they're created by making it seem as though your choice is the only reality. It's not up to the game to tell you "hey, things could be different if you'd made a different choice". That merely ruins the illusion created by the game world and highlights its artificial nature, weakening the narrative rather than strengthening it. Retrieve at any time? Sounds good! But the game once again proved it was not trustworthy. Without warning, the inn came under attack by a group of thugs. 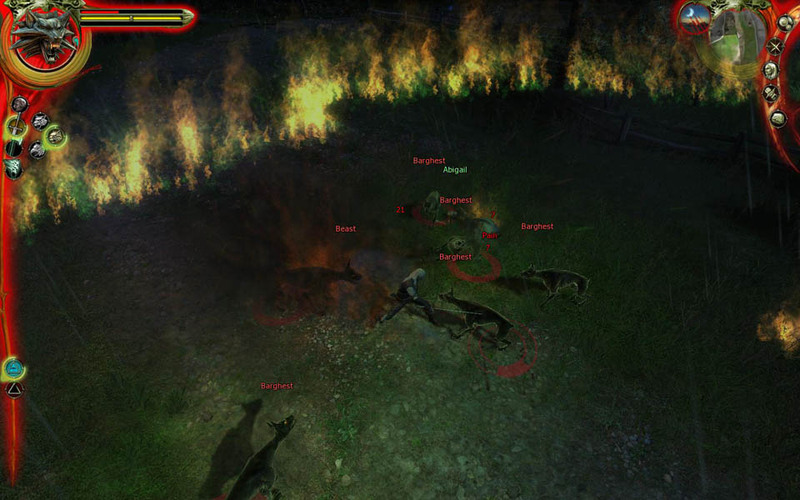 They surrounded and threatened one of Geralt's friends, and had slaughtered the innkeeper before I arrived. Now, with the innkeeper dead, my immediate thought was: "How do I retrieve those items I stored?" Given the journal specifically told me that I could retrieve stored items at any time, I must be able to get to them, right? Wrong. That's right, the information that's provided as meta-game information directly to the player on the mechanics of how the game works is not only inaccurate, but outright misleading. Being somewhat of an item hoarder, I had no kind words for the designers at that point for making an inexcusable deception. If I had been told about this mechanic by an NPC, that would be fine, because NPCs are unreliable sources of information. But something that tells you about the game mechanics as a player should always be accurate. I was left wondering for a few minutes how this went so hideously wrong. The setup was there, and it looked like it was going to push me to a tough decision, but then I got pummeled with reasons to detest the villagers. 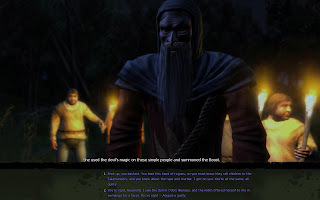 The guard raped a girl, the reverend allowed children to be kidnapped, and the smuggler traded with slavers, and collectively, they caused "The Beast" (a deadly dog wreathed in flame) that was responsible for the deaths of countless villagers. They give arguments that are supposed to paint the witch in a negative light, but they do so in such a weak and ineffectual manner. I kept waiting for them to elaborate on her culpability and how she'd lied to me, but all I got were weak excuses. On the other hand, the witch was larger a victim of circumstance. She attempted to provide shelter for a young boy, and at her worst she provided a poison for the raped woman to commit suicide. Her crimes paled into significance compared to her accusers. However, the issue wasn't the weakness of the choice itself. The thing that I absolutely detested about this decision was that either option was so laden with rhetoric and rationale in addition to the actual choice itself. In picking one of the options, I wasn't only making the choice, I was being forced into a specific motivation for that choice. That is terrible decision making in a role playing game, and something that should never be forced on a player. A writer must allow the player to make the decision, perhaps with an emotional flavour, but never the specific or detailed reasoning behind that decision. As soon as that reasoning does not match the player's own reasoning, and in 99% of cases that is exactly what will happen, the "power" of making that choice is effectively destroyed for the player because they're being forced to make a decision for a reason they don't agree with. So I gritted my teeth, and made the right decision for the wrong reason and hoped things would get better. The only problem was that after this point, it got even worse. I was forced into a fight with the "boss" of the area - the creature known as "The Beast". Boss fights after lengthy dialogues and cutscenes are a terrible, terrible idea. I don't care if they're skippable, but it is practically unforgivable if they aren't - I'm looking at you, Mass Effect. If you're a designer, never, never, ever, do this. If you have to have a fight immediately after a dialogue cutscene, please try to put an autosave just before the fight starts so the player doesn't have to sit through it again. All it does is annoy the player. If you want more proof, player Prince of Persia: The Two Thrones. When you get the twin boss fight after a chariot race, and die repeatedly, you'll know exactly what I mean. But the icing on the proverbial cake was the fight itself. Pitted against The Beast and his menagerie of spectral dogs, I had to dispatch his companions before dealing with the chief enemy itself. Standard fare for a boss fight, but the fight was anything but straightforward. While killing off his minions, the boss himself would deal inordinate amounts of damage to Geralt, shredding his health to a pathetic amount by the time it turned into a one on one fight. Failing several times, I resorted to using potions to increase my health regeneration during the fight, but I was still unable to prevail. So I decided to move around a little more in the hope that with superior position I would win. This was an abject failure, as I moved to close to the boundary of the fighting zone, caught on fire and stood there helplessly while being eaten alive. So I resorted to using my magic abilities repeatedly. This helped significantly, and perhaps I should have been doing it from the start, but I was still not able to win. At this point, after perhaps a dozen deaths, I'm not sure what I'm doing wrong. I'm not missing any of the clicks in the (hideous) click-timing combat, but I'm still getting comfortably destroyed by the boss and his minions. Let's not forget that I'm being forced to skip through a lengthy dialogue and cutscene every single time. However, on about the 14th or so attempt, my magic spell happens to stun The Beast as I unleash it a couple of seconds into the fight. This is only by virtue of me having upgraded it and given it the chance to provide this effect. Based on previous combat, I've been able to instantly kill stunned enemies, so I click on The Beast in the hope that this might occur... and success! 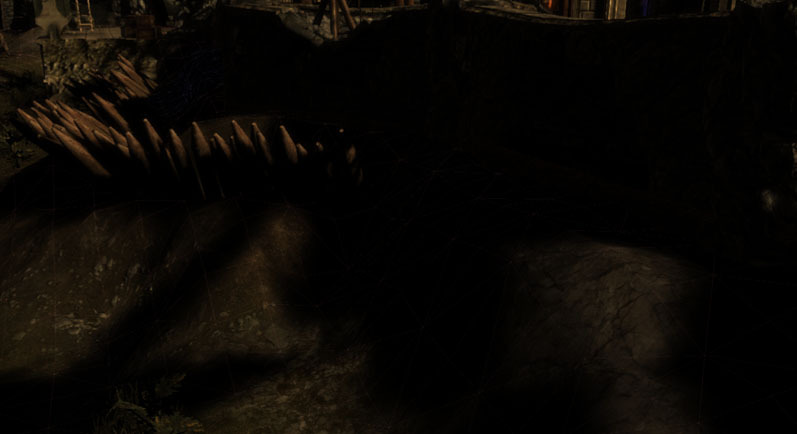 The Beast and all its minions die instantly, resulting in a boss fight that's over in a total of five seconds. This is pretty much the pinnacle of terrible combat or encounter design. An encounter that results in the player's death except due to sheer luck, at which point it ends in victory after a few seconds signifies a system that doesn't reward intelligent play, but instead the gross chance of being fortunate enough to have an "instant-kill" percentage effect come off. The game already has something that relies entirely on luck and not on skill: its "dice poker" mini-game. When combat is reduced to this level, it's not only a chore, but an annoyance. 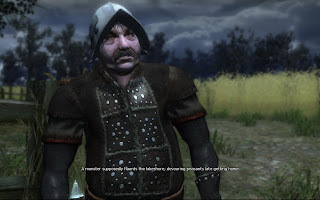 I'm trying hard to like The Witcher, I really am. But every time I begin to think it might not be so bad, the game demonstrates an abject disrespect of both the player and the roleplaying genre in general. There might be some things that The Witcher has done right (as its advocates keep telling me), but they are just so horribly overshadowed by glaring shortcomings that I'm finding it extremely hard to motivate myself to click that button that says "Play". The human and eye and brain are incredibly clever. Subconsciously, they can spot things that aren't right, even if our conscious brain can't work out what the problem is. Computer generated graphics have such difficulty fooling us because the combination of those two is so used to perceiving the real world that even small imperfections in computer generated images destroy the illusion. Typically, the problem that our brain picks up on is shadows, either them being too bright/dark, the wrong colour given the hue of the light source, or simply not matching the "proper" lighting that would occur from reflected light in the scene. However, sometimes we more consciously pick up on objects looking "wrong" as well. 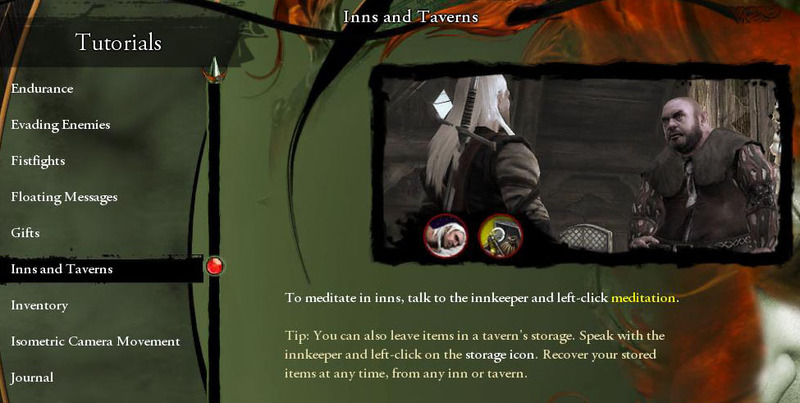 To demonstrate, here's something that I noticed when I was playing through Dragon Age. I knew something was wrong, but didn't quite know what. 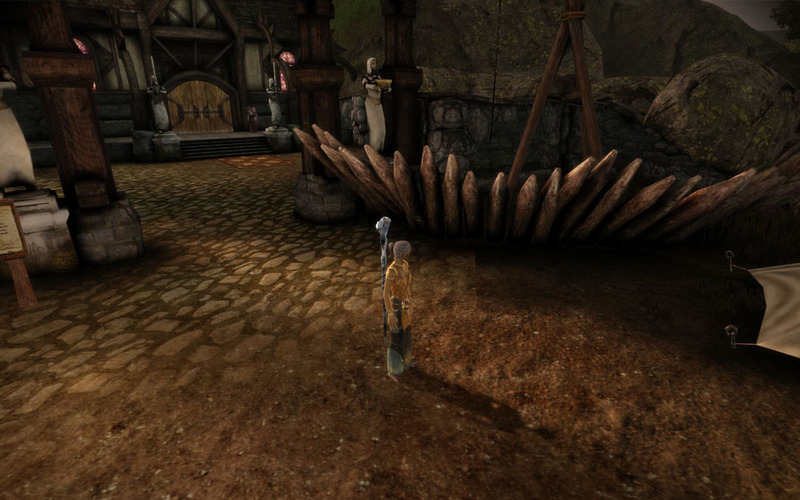 To demonstrate the point, here's a screenshot of the offending view in the town of Lothering. Note that it may help if you click for a larger image. Okay, the obvious issue is that lighting issue just to the right of my character. A graphical error, certainly, but not what attracted my attention in the first place. There's another issue too which is hard to see from the shot, but the cobbled path texture extends underneath the barricade. Obviously, a barricade isn't going to be shoved into the ground in the middle of cobblestones. Again, it's another small thing that didn't seem right, but I still figured there was something else. It wasn't until I looked elsewhere in the level that I realised what my brain had subconsciously registered. It was what was missing that I'd picked up on. Now, it's not easy to demonstrate what's missing in a shot of the other area, no matter which angle I take a screenshot from. But if you're thinking about it, you can notice what's been fixed in the screenshot above. I'd suggest opening it up as a larger image again to have a better look. Do you see it? The answer? Look at the ground in front of the barricade. In that first shot, it's totally flat. Perfectly flat ground is something that immediately makes a natural landscape area look less realistic. Even the relatively flat entrance area of the town with the path going through it has a subtle height variation, as the main walkway would be slightly worn down compared to the grass beside it. Moreover, in this case it, that flat ground doesn't match the scenery/placeables in the level, namely the barricade. There would typically be some sort of support for that type of angled barricade, even if it is just a small mound of raised dirt as is visible in the second image. I know this might seem finicky, but you'd be surprised what players notice, even if they don't consciously realise they've noticed it. The moral of the story is that even professional level designers have problems in their levels. However, if you analyse them can you dissect what makes them good and what needs improvement. Alternatively, I could be too much of a perfectionist... Until next time, happy level designing! I discussed sandboxes the other day and I may have come across a little harshly in my assessment that they struggle to deliver a good story. My point was more that they deliver a story less successfully than non-sandbox games (hence the renaming of a few posts for those observant enough to notice). The thing is, this isn't actually a problem, as they're not necessarily designed to do so. They're meant to give you the feeling of a broad and "realistic" world, and not everything is connected in a real world. If it was, then the world would actually reveal itself more clearly as an artificial creation filled with more coincidences than you could poke a stick at. That said, what what if a sandbox could deliver a really great narrative? What if you could have the freedom and the means to interact meaningfully with an enormous and vibrant game world? I'm going to suggest that perhaps the only real viable avenue for this would be an MMO, as this would provide both the necessary revenue to fund the project (through the lucrative market of ongoing players), and the scope to provide deeper interaction through a continually expanding game world. Of course, if we're then including choice and consequence, we have to deal with the problem of mutually exclusive realities to players in the same group - what if in an early quest, one player in a party spared an NPC, but the other killed them? Whose reality takes preference? To kill or not to... cmon, it's a bad guy in front of a giant window! 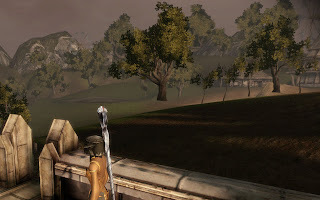 More importantly, designers must face the unenviable task of making plot an integral part of the MMO gaming experience. Many (if not most) players are so focused on the challenge of the next encounter/quest or the promise of obtaining new items that the associated stories of quests fall by the wayside. 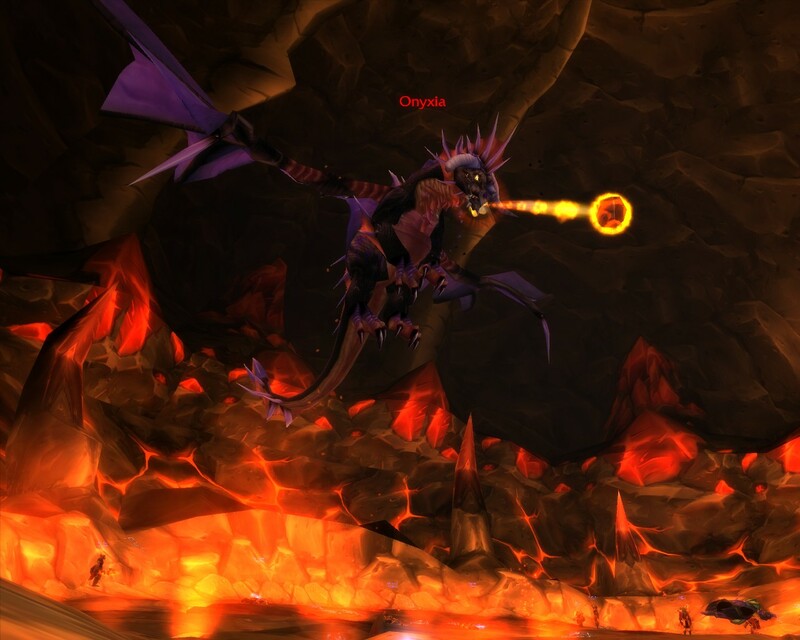 As someone who played World of Warcraft for about 4 months (pre-Burning Crusade), I remember very little about the quests I was assigned. As I approached/reached level 60, I even *gasp* skipped dialogue - merely checking to see what I had to do in order to accomplish my goal so that I could get my reward or gain access to a new raid. This includes me skipping the final dialogue in the Onyxia attunement quest chain, because so much had been skipped while I was grouped with other players, and I had to be ready for the impending guild raid on her lair. To this day, I have no clue what actually happened because the chain was so long. There was something about her arranging for the kidnapping of the king, being in league with some low level bandits you killed in an early instance, someone you helped with a summoning in a jungle near her lair, then she turned out to be the King's Advisor in disguise... I remember you ended up taking an item to someone on a high ledge after defeating a bunch of ice drakes and that person roundhouse kicked you across a continent into the middle of the plaguelands. Yes, I'm more than a little sketchy on the details, but I imagine there was ultimately an interesting tale in there. Story? What story? Who cares anyway, we've got a dragon to slay! This is coming from someone who read every single Codex/Journal entry in Dragon Age and Mass Effect 1 & 2, and gives every RPG exactly the same treatment. Yes, even The Witcher, which I'm not actually liking that much, I'm still reading everything. Actually, reading those descriptions is actually enjoyable - they're at least well written and give me the impression I'm in an interesting game world, even if I find the game itself somewhat tedious. Yes, that's how much I care about story and lore in my games. So I'm not proud of my obsession level during my WoW days, but it proves that even the most ardent proponent of story and an interesting game world can be undone by the desire for "the next thing". I would love to see an MMORPG that actually is able to deliver story in a meaningful and important way in an RPG. I have hopes that The Old Republic may deliver in this regard. However, I do realise that content is quite expensive when it comes to making a game, and that I appreciate a backstory and lore more than most. I'm possibly asking for something that might not be commercially viable, but I'd like to think that such a game would gain a large and dedicated fanbase. P.S. I'd happily issue an apology to Blizzard's writers for neglecting their writing efforts, and once again call for the plots of games to be written out in full in some place on the Internet. Seriously, this might be a sidetrack for this post, but I'd really love to have a website like that. Heck, I'd contribute to it if I thought others would appreciate it too. I know I just posted one update today, but I finally got around to checking out the trailer for the forthcoming Dragon Age DLC... Golems of Amgarrak. Um, excuse me, I'd like to ask a question about this trailer. Why are you using Mass Effect 2 music to advertise Dragon Age DLC? Okay, I know might seem like a bizarre topic, but bear with me here. There are actually a lot of design similarities in the structure of the two games. I'll issue a spoiler warning for both games before I start. 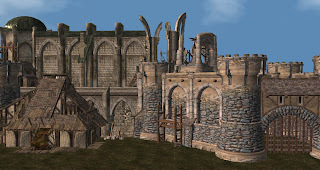 Baldur's Gate 2 places you with the goal "raise money to reach Imoen/Irenicus", but leaves it up to you how to pursue it. It floods you with choices of sidequests in order to achieve that goal. It offered you freedom in terms of those sidequests, you were inundated with them at the start, and had to decide which ones were most important to you as a character. As you progressed you took along your party members and got to know them a little (or a lot) better during the process. As you progress, must perform some of the linear plot (the guild war), and eventually track down Irenicus and kill him. But a large proportion of the game is in the sidequests to explore the gameworld. Each party member even has their own dedicated "side-quest" so you get to know them better. 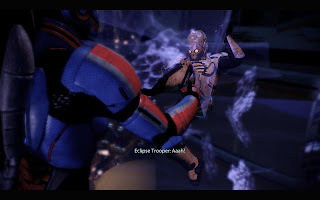 Mass Effect 2 placed you with the goal "form a team to defeat the collectors", but leaves it up to you how to pursue it. Once again, you're given a number of tasks to achieve and freedom in the order in which to pursue them. You have to decide which members sound the most important to you in order that you want to "hire" them first. Again, you get to know your party members better if you take them along, and even if you don't you can still chat with them in the Normandy. You get thrown into part of the linear main plot along with way (Horizon, Collector Ship), and eventually kill the collectors. Again, the sidequests are the focus, and party members have their own dedicated "side-quest". So why does Mass Effect 2 get panned for this focus on side quests but Baldur's Gate 2 never does? Simple. This might sound like a "I WANT MOAR!!!" 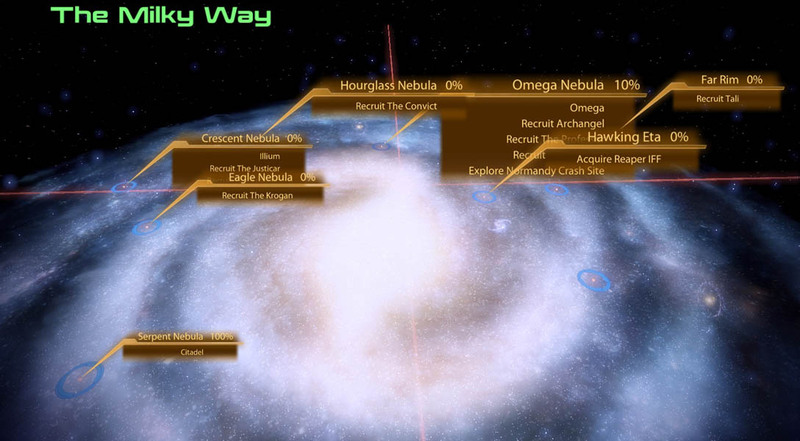 argument, but Mass Effect 2's biggest problem is that the main quest isn't long enough. The main quest consists of Freedom's Progress, Horizon, the Collector Ship, Reaper IFF and the Collector Base. Five missions, probably accounting for at most 8 hours of the gameplay. The Collectors and Harbinger simply weren't in the game enough for you to care about them sufficiently. 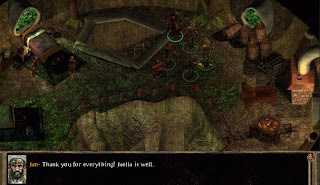 Compare to Irenicus who hassled you at every turn, you spent time fighting with his sister (who later had the potentially to really get to you by stealing your love interest), and he even had the assistance of the Drow. The problem in ME2 was that the "side quests" occupied the majority of the game, and didn't matter until the last mission. That said, the final mission where you got to assign other team members to roles really succeeded in terms of tying together the "mission" of the game to collect a team. You actually got to put that team to use by assigning their roles during the assault. I still think this was excellent, and I don't think it should have been included previously in the game, as it makes a fitting climatic finish. If you'd had the same thing occur earlier, the finish wouldn't have had the same impact. 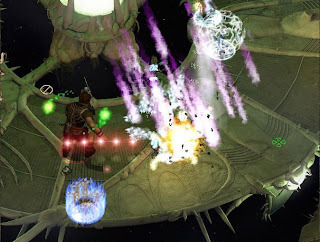 The weakness of the game was that it lacked the strong overarching narrative present in either Baldur's Gate 2 or the original Mass Effect. What it really needed were a few more mandatory missions in the middle of the game to reinforce the threat of the Collectors and the need to eliminate them. The threat of the Reapers almost took a backseat through the game, and we merely dealt with their pawns in an intermediate struggle until the final showdown promised by the third game. I have a confession that may not come as a surprise to many readers. I don't really "get" sandbox games. There, I said it. This isn't to say that I don't like them, or that I can't enjoy them. But personally, a lot of things that attract people to them don't really appeal to me that much. Either that, or I've become bored with them after playing a number of them. I find that the free roaming aspect can quickly become tedious and repetitive, so I get bored and just want to pursue the main plot of the game. When people raved about GTA IV upon release, I viewed the reviews with a healthy amount of scepticism, because all I could see was just another GTA game. That's not to say that's a bad thing - I respect Rockstar and what they've done with the series way back from its 2D roots, and sure, I've enjoyed playing them. But in time, I knew the wheel was going to roll around and people would see it was just another step of improvement in their series. 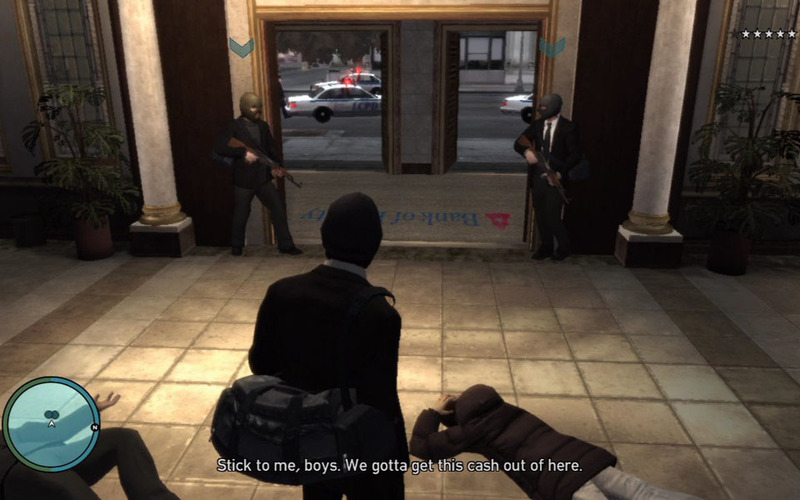 Upon playing it, the Grand Theft Commute playstyle grated upon me, but I was more fortunate than some of my fellow gamers in that I managed to get past some of the hardest missions without being forced to continually retry them. "Snow Job", "Three Leaf Clover" and "Catch The Wave" all proved to be common bugbears I was lucky enough to complete first try and avoid lengthy mission replays. These problems could have been fixed with a better save system, which reportedly Rockstar implemented for Lost and the Damned (which I never played). Red Dead Redemption (aka Grand Theft Horso) is better in this regard too, but I'm still not sold on it. That said, Rockstar aren't the only ones with this failing, as Just Cause 2 has a few missions that don't have frequent save points, which can lead to losing quite some time if you die in a firefight. However, I don't hate sandbox games. I have enjoyed them in the past and still do. The number of hours I spent playing Sid Meier's Pirates (a different sort of sandbox) is probably a larger figure than I'd care to relate, and I played through all of GTA IV, am currently playing Just Cause 2 for breaks between modding sessions, and absolutely loved Assassin's Creed 2 (especially seeing how it fixed pretty much everything that was wrong with the first game). Just Cause 2. A.K.A. "Blow Stuff Up: The Game"
So what's my issue with them? The focus of the sandbox games so frequently tends to be on the freedom and freeform nature of the adventure. Go wherever you want, do whatever you want. However, the problem is that your interactions with the game world are very limited, and typically fall into one of three categories: Destroy something, kill someone, or get from A to B within a time limit. Arguably there's also "find location" or "find item", but that's not really much of an interaction, because there's no real significance behind it and frequently no purpose aside from the pure completionist desire. We've given limitless freedom, but unforunately that freedom is limited due to how we can interact with the environment. Of course, these limitations are understandable, as given the amount of time spent creating the game world, it is not practical to put in deep and meaningful interactions to the same extent as a linear game. This isn't to say that it can't be done at all, because Bethesda do manage it to a degree. But you're never going to see the depth of something like Planescape Torment in a Bethesda sandbox, simply because the effort required is simply far too high. In a sandbox, you get a horde of sidequests and generally a somewhat interesting main quest, but you never get to form any real attachment with any NPCs. 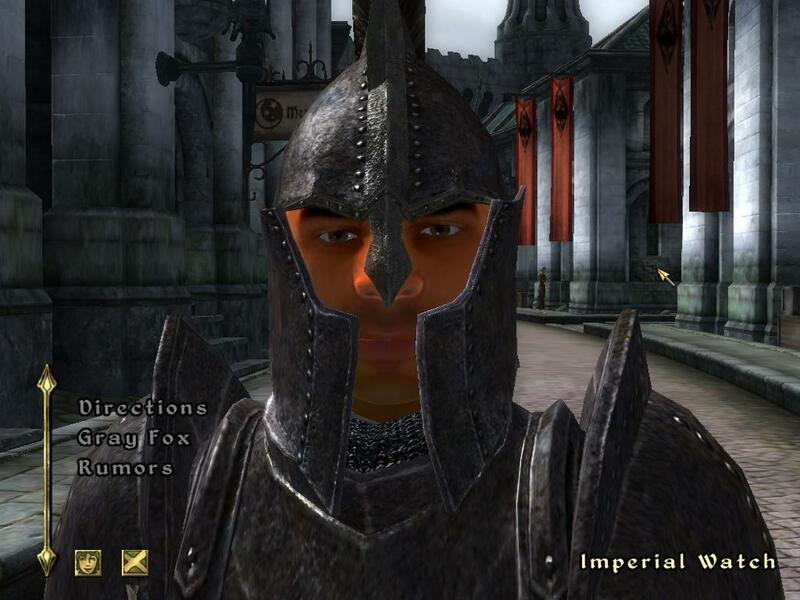 Also, going on wanton sprees of destruction isn't quite the same in The Elder Scrolls as it is in practically every other sandbox because of that whole "law enforcement" factor. Like with my discussions of non-linearity in plot driven games, I feel the degree of freedom is inversely proportionate to the story telling capability of a game in a grand sense. Maybe I've come to love a good story too much that it's getting in the way of me being able to enjoy just "playing a game", but I like to be able to care about what I'm doing as well as simply enjoying it for the fun factor. I feel like comparing sandbox games to a linear game is like comparing an epic series of novels to a set of short stories: both are enjoyable in their own right, but the former has a far better potential to make you feel invested in the world and the characters involved. Sandbox games are "fun", but they can feel like a series of light snacks compared to the big sit-down meal of a good linear game. 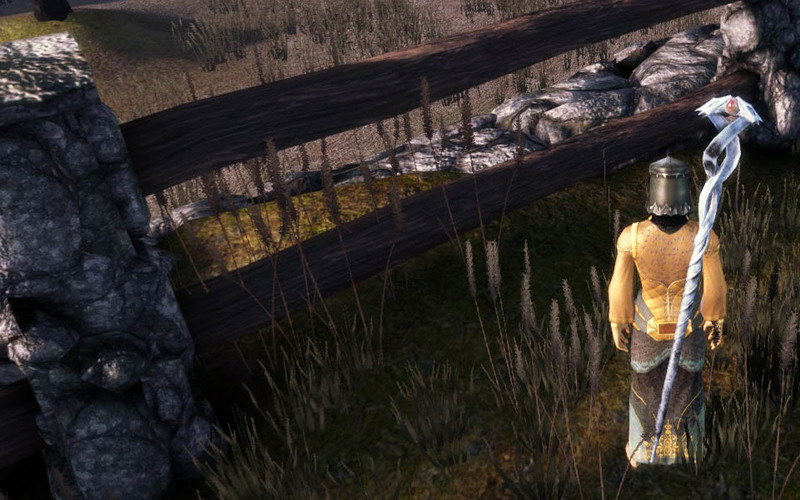 Non-linearity is something that has been lauded as as great leap forward in gaming. The prevalence of sandbox games like Grand Theft Auto, Just Cause, and The Elder Scrolls series are a testament to their popularity. However, if we're talking about a game driven by its story, does non-linearity actually matter? Or moreover, is it even desirable? So let's consider the non-linearity present in Dragon Age and Mass Effect. In both games, we get a linear segment to begin with, establishing the backstory of our character and the setting of the game world. Once this phase is over, we're given free reign to pursue one of three (or four) questlines that belong to the main quest. We're also given a myriad of side quests that we can complete at our leisure, but which have no real impact on the main story as a whole. 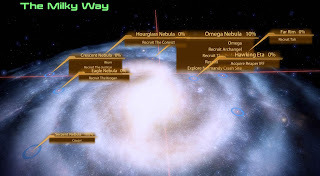 Once the major questlines are completed, we decide when we wish to be funnelled into another linear section which completes the game. If we then look at Morrowind or Oblivion, we have a single, linear path for the main story, again with a myriad of side quests with no real effect on the main story. Arguably, there are some side quests that become mandatory (ie completing a daedric shrine quest in Oblivion), but again, these have no real effect on the plot itself. Non-linearity exists in terms of side quests for both types, but BioWare's two offerings present some non-linearity in that they allow the player to pick which of the main quest lines to pursue first. However, the question I ask is this: What does that freedom really provide to the player? 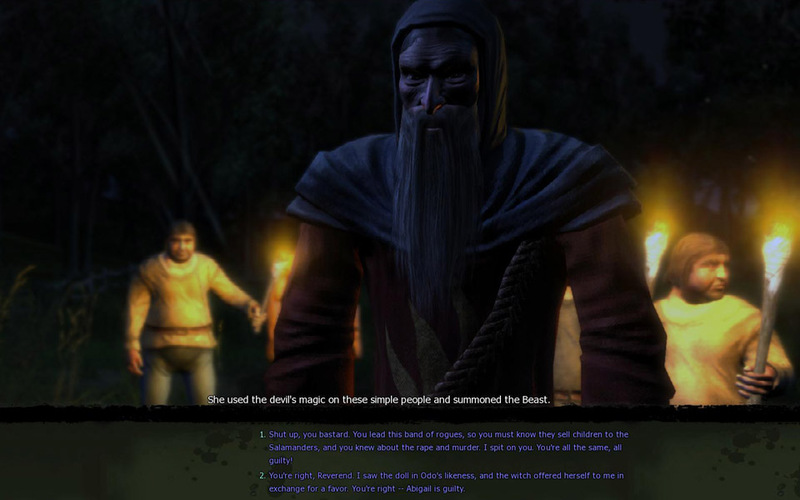 In terms of the progression of well-delivered narrative, what does giving the player the choice to pursue parts of the main quest at different times achieve? By allowing this non-linearity, we give the player the freedom to pick the quest line they believe is the most important or the most interesting. The designer is empowering the player with that ability. Putting the player in control of their adventure is a good thing. However, at what expense is this freedom granted? If the players can progress in a non-linear matter, several problems are raised. 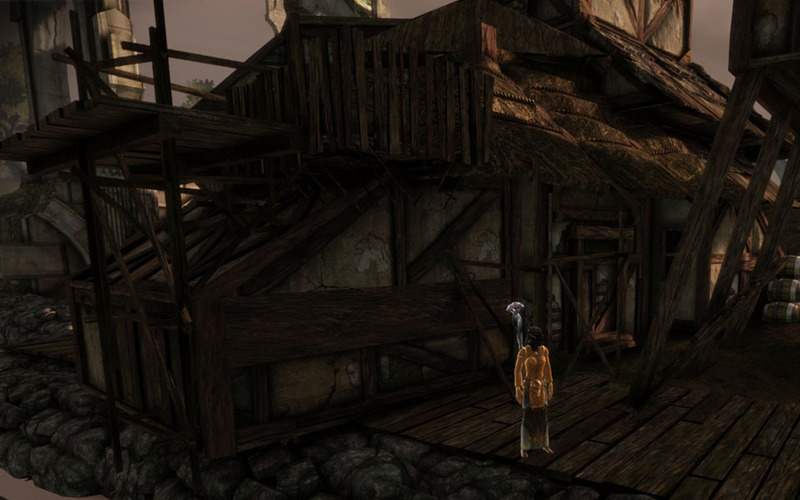 For one, the development of the plot must be able to cater for every permutation of plot progression that the player can pursue. If there are certain revelations that must occur in order for the plot to progress, this order must be maintained regardless of the player's choices, which may cause difficulties for delivering a coherent story, particularly if these reveals only occur at specific locations. There will likely be an "optimal path" to provide the "best" story due to the delivery of the material. If this is not the case, then most likely the major quest lines are not that tightly coupled, because extra information from one does not inform your character's action in another location. Perhaps an example will demonstrate this point more clearly. 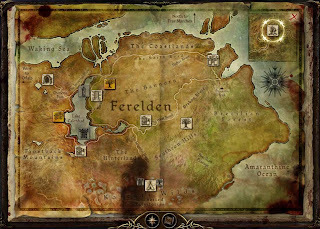 Within Dragon Age, you can investigate the troubles of Redcliffe, explore Orzammar, resolve the conflict in the Brecilian Forest, or deal with the blood magic in the Circle Tower. None of the quests have anything that directly ties them to each other in terms of the plot, as each of them can be done independently. Compare to Oblivion's linear plot, where each plot point is directly dependent on the prior point, arguably leading to a more tightly coupled story progression. This isn't a comment on the comparative quality of the stories (I'll leave that for other people to argue over), but more the cohesiveness of the individual elements in forming a greater story. You decide the outcome, no matter how long it takes you to arrive. By providing non-linearity in the main plot, it is harder for the designer to form a consistent and precise narrative for the player. In which case, I would argue that the player needs to get more out of that non-linearity than the simple choice to pursue the main quest line of their choice. What do I mean? How about introducing some dependencies or effects depending on the player's choices in other "main-quest-lines"? 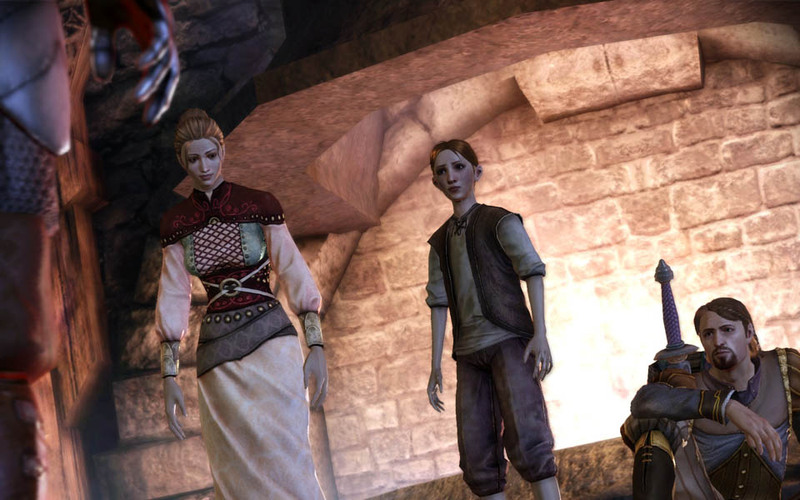 The example I've mentioned previously that I would have loved to have seen in Dragon Age was Connor dying (or being killed) if the player left Redcliffe to fetch the assistance of the mages. What if your decisions in one main quest line, or even the order you choose to do them had significant effects on other main quest lines? Without some real and meaningful effects to take advantage of the non-linear nature of the main plot, the lost power of the narrative does not seem to be worth the relatively small degree of empowerment that we as players receive from being able to choose how to progress the main plot. Over the past few days I've been doing some work on getting the next exterior level created for The Shattered War. This is a key area of the game that the player will be revisiting multiple times, so I want to put in quite a bit of effort. 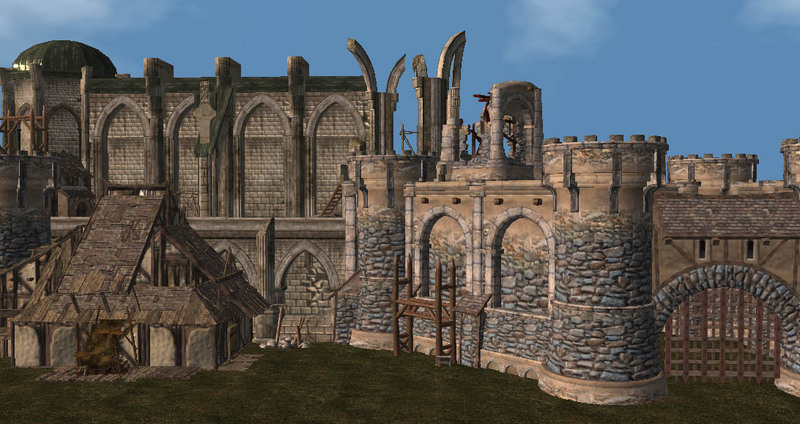 However, creating cities/towns/built-up areas in the Dragon Age toolset is a very time consuming process. So, as I'm putting in many hours of work and am still not anywhere near close to a finished product, I find myself in a small dilemma. On one hand, I'd love to add the level to the Community Contest, but on the other, I know that The Shattered War is a long way from being finished, and if I release the level as a public resource for other people to use, then there's a (good) chance that people won't think of the area as being unique by the time it is finished. As a modder, I would like to give something to the community which I hope would be a valuable resource, but should I do so at the potential expense of the success and popularity of the module on which I and the rest of the team are working hard to produce content? I don't find that an easy choice.